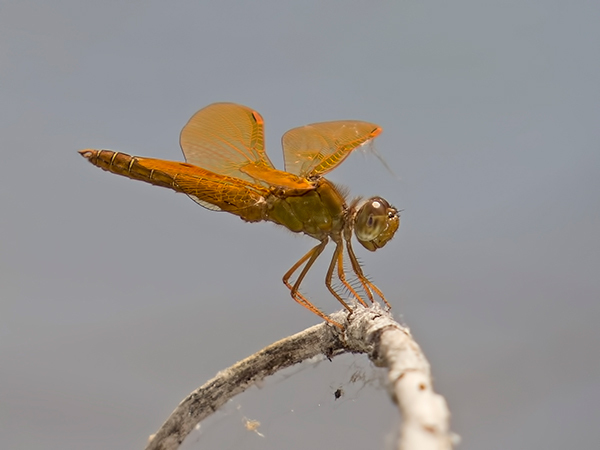 The Mexican Amberwing, a common summer species in the Southwest half of Arizona, had until now not been observed in the state until 29 March (Tres Rio Wetlands, Phoenix, Maricopa Co., 2009). Three males of this species - one of which shown below - were found at the Rio Salado Habitat Restoration Area in Phoenix on 23 March 2014, thereby extending the flight period of the species in the state by almost one week. Mexican Amberwing, Male, Rio Salado Habitat Restoration Area, Phoenix, Maricopa, AZ, 23 March 2014.